One effect of the upheavals that swept the region since the Arab Spring in 2011 was that the Egyptian military was forced to undertake exceptional and unconventional duties along Egypt’s borders. 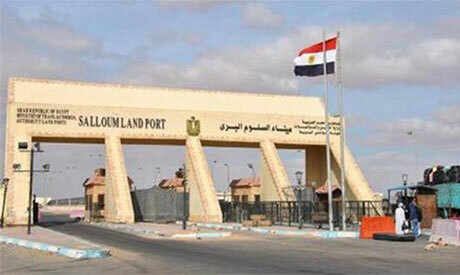 In the case of the western border, not only did it have to secure the Egyptian side, it had to perform the border security tasks of its Libyan neighbour. In the anarchy that followed the collapse of the Gaddafi regime, large portions of Libya adjacent to Egypt became a refuge for militant terrorist organisations some of which directed their wrath against Egypt as manifested in terrorist attacks and hostile border infiltrations. To compound the problem, connections between various terrorist threats speak of close coordination between certain regional powers that support the terrorist organisations and militias in Libya, Gaza and Sudan. The geographical and demographic characteristics of the western zone make the task of border security extremely complicated. For one, much of the terrain in the vicinity of the 1,115-kilometre-long border is mountainous, which presents natural obstacles to military movements. The border line can be divided into two areas: a 265-kilometre stretch, which is the most tightly secured, and a longer 785-kilometre stretch where the rugged nature of the terrain forces the army and other border security agencies to adopt different strategies, employing modern technologies and less conventional combat methods. Another important feature of the border zone is that the Western Desert interweaves with a number of densely populated governorates, from Aswan and the New Valley in the south to Beheira, Marsa Matrouh and Alexandria in the north. This facilitates illicit movement between the Nile Valley and the border zone. Threats from the western border zone emanate from both sides of the border. On the Egyptian side, there are geographical, political and ideological connections between Islamist groups in Egypt and in Libya (the Hasm and Ansar Al-Islam terrorist organisations are based in the Western Desert). There are also kinship linkages between tribes in western Egypt and eastern Libya. In addition, organised crime gangs operate in the vicinity. The other side of the border presents serious risks and challenges to Egyptian national security. Most importantly, eastern Libya has become a refuge for militant Islamist militant groups, including some hostile to the post-2013 government in Egypt. A number of terrorist operatives in those groups are familiar with desert routes and topography on the Egyptian side, as demonstrated in the 2016 Bahariya Oasis Operation. In addition, Al-Qaeda has set up base in Derna in northeast Libya, uncomfortably close to the Egyptian border. The ability of Libyan security forces to perform their tasks on their side of the border is weak, at best, along about 200 kilometres of the border and virtually non-existent along 800 kilometres of the border. This is an area in which Islamist, tribal and regional militias proliferate and control significant quantities of heavy and middle weight weaponry that once belonged to the Gaddafi regime. The prolonged fragmentation of the Libyan state and consequent inability of authorities there to perform sovereign duties have exacerbated the problem for Egypt. Border security is universally understood to be a joint task undertaken by the security agencies of neighbouring countries. In the case of the Egyptian-Libyan border, the Egyptian army is forced to perform a double duty. This complex and arduous situation has compelled Egypt to pursue several courses in tandem in the hope of solving the western border crisis. Politically, in late 2015, Egypt formed a special committee, drawn from officials from the Foreign Ministry, general intelligence and military intelligence, to tackle the Libyan question by brokering a series of meetings between diverse sets of Libyan players. Through a persistent but flexible approach, which succeeded in bringing together representatives of opposing political factions, tribal groupings, and other components of Libyan civil society and in bridging the positions of such major political and military leaders as Field Marshal Khalifa Haftar and Chairman of the Presidency Council of the Government of National Accord Fayez Al-Sarraj, Egypt positioned itself as an influential and effective agent in the drive to resolve the Libyan crisis. This approach also helped forestall the manoeuvrings of regional powers bent on using Libya to jeopardise Egyptian interests. Nevertheless, there are three diplomatic avenues that Egypt could explore further in order to resolve the crisis. One is to open channels of communication with Libyan parties opposed to the Egyptian position, most notably the Misrata faction. The second is to reach a compromise with Algeria over differences between Cairo and Algiers on how to handle the Libyan crisis. The third is to open channels of communication with Libyan tribes in the vicinity of Libya’s eastern border with an eye to enabling these tribes to perform certain political and security functions that would help resolve the Libyan crisis and alleviate Egyptian security concerns. Over the past four years, Egypt has also pursued several military-related avenues to enhance border security. Perhaps the most important has been its drive to help equip the Libyan military to perform its functions. During the past year, Egypt organised six meetings between Libyan military officials with the aim of unifying the Libyan military establishment and improving its relationship with civil authorities. The meetings have succeeded in formulating a set of specific points that should help to unify the Libyan army. - Creating a western military zone like the one east of the Suez Canal with a central operations room and intelligence gathering centre. - Reduce dependence on ground forces in surveying and security operations and increase use of aerial surveillance to engage the enemy. - Accelerate steps to operationalise the French-made military satellite that will enable far more rapid and accurate surveillance of security areas. - Coordinate with other regional and international powers in order to lift the ban on arms sales to the Libyan army. - Increase the number of students enrolled in Egyptian military and police academies. - Increase the level of cooperation with Egyptian tribes in the Western Desert in intelligence gathering, especially on the activities of militant and terrorist organisations. On the whole, during the past four years, Egypt has considerably enhanced the capacities of its own border security forces while working on diplomatic and military avenues to resolve the Libyan crisis. However, in spite of progress made, it is still difficult to speak of “strong” or “secure” borders, especially amid developments that portend further security deterioration in the region. Perhaps, it is time to contemplate new mechanisms for dealing with “soft” or “unstable” borders and the threats they present.